World Urbanism Day (also called "World Town Planning Day") is a day dedicated to the profession of city planning, the profession that deals with everything related to cities in order to preserve the quality of life and their environment. City planners should think about everything: transportation and accessibility, safety, clean air, proper water, good infrastructure such as roads and bridges, communications, and so on. World Urbanism Day was founded in 1949 by Professor Carlos Maria della Paolera of the University of Buenos Aires, a graduate of the Institute of Urbanism in Paris, to promote the public and professional interest in urban planning. On this day there are professional conferences on urban planning in more than 30 different countries. The profession of city planning has changed over the years because of changes in the climate, needs of the population and more. The father of urban planning was Hippodamus, who had planned Miletus, a city in ancient Greece. 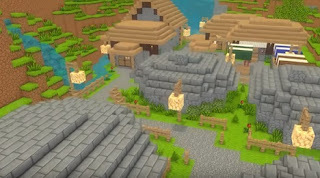 Did you know that a great way to teach your kids about city planning is to let them play in Minecraft? In this game you learn to design structures in a public space and it is a good start to learn about the impact of good planning of buildings on the quality of life of the residents.